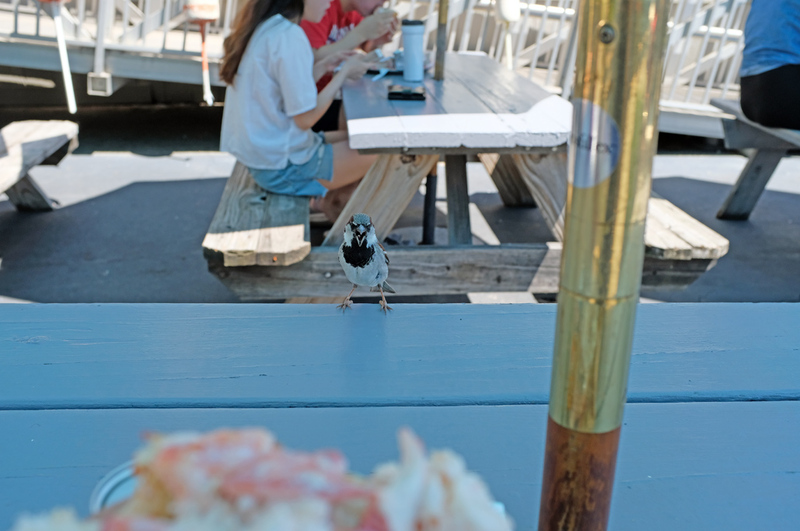 Every Summer we take a road trip to Green Harbor Lobster Pound in Marshfield for lobster rolls, but this year we decided to try our luck over at Boston’s Harborwalk, because it is packed silly with places serving lobster rolls! 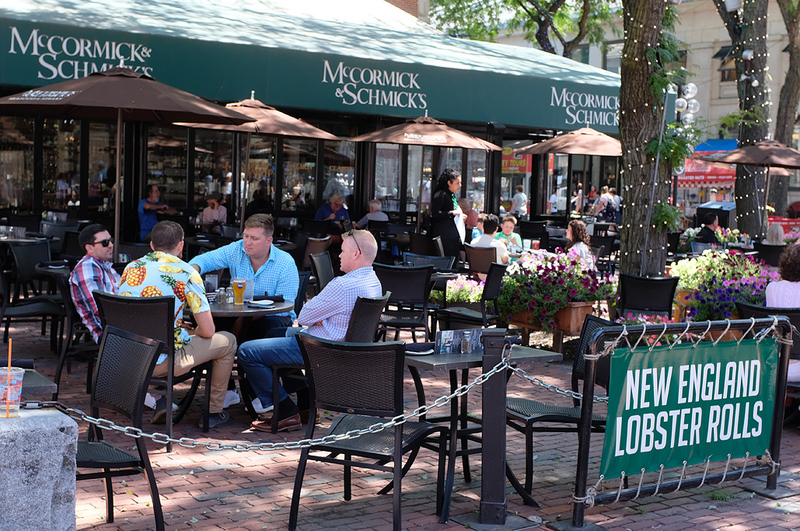 Smack in the middle of Faneuil Hall, McCormick & Schmick’s may be a great place to people watch/enjoy fresh seafood, but it was definitely way too touristy for us. Passed. If it was good enough for Daniel Webster, it was almost good enough for me. Shuck Yeah!‘s menu is designed around seasonality and local ingredients. Their motto is “have wheels will travel,” bringing the freshest seafood you can get to you. They got their start on Cape Cod and work with many local fishermen to bring the best seafood they can find to their customers. This looked promising…so maybe next time. Shucks, that line is too long. 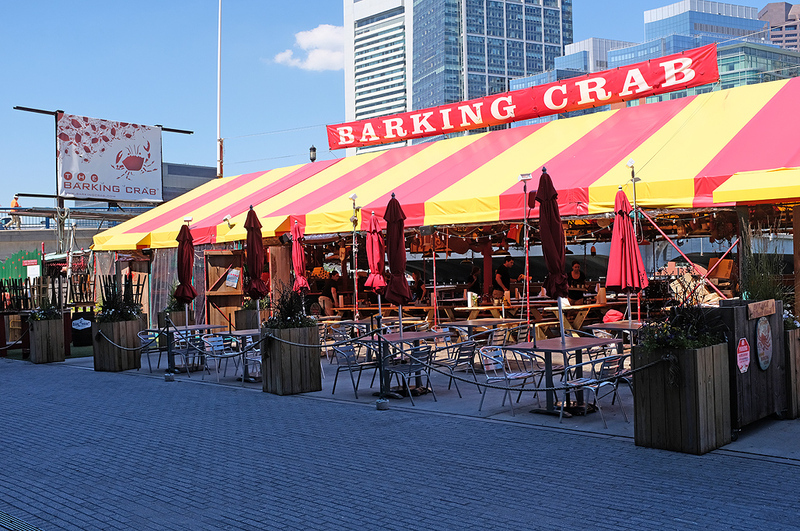 We love going to The Barking Crab. We’ve had many awesome meals here when this place was just a dive bar next to a giant parking lot. Unfortunately, The Barking Crab was closed to the public for a private event on the day we visited. There is no clowning around under this big top – this place knows what it’s doing! 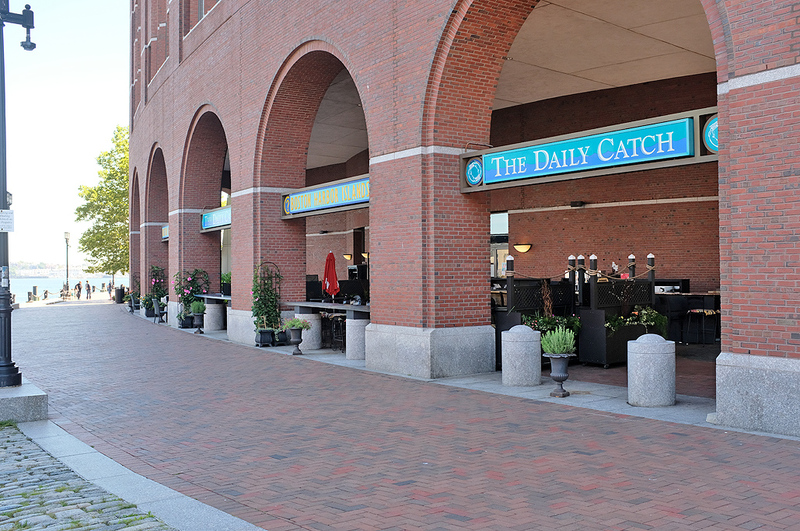 Outside, great harborside views, and seafood focused, The Daily Catch was on our short list. 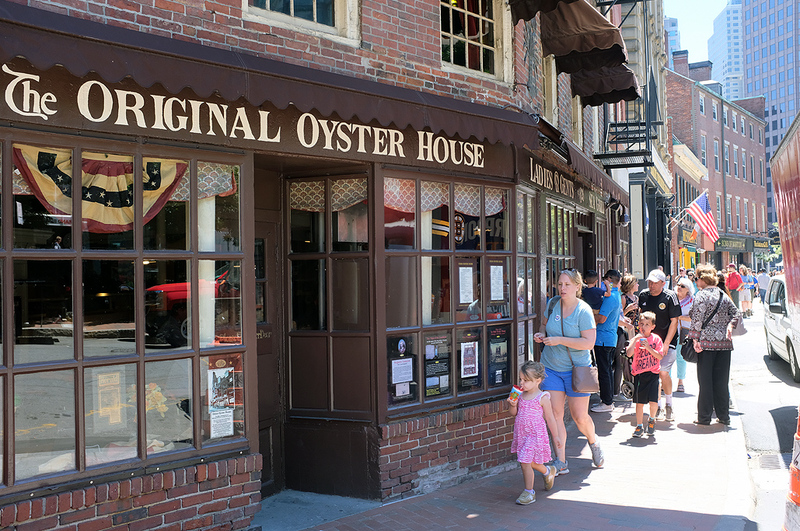 However, this was the only seafood place we visited which did not have a lobster roll offering on their menu. Bummer! Why couldn’t I catch a lobster roll here? WHY? 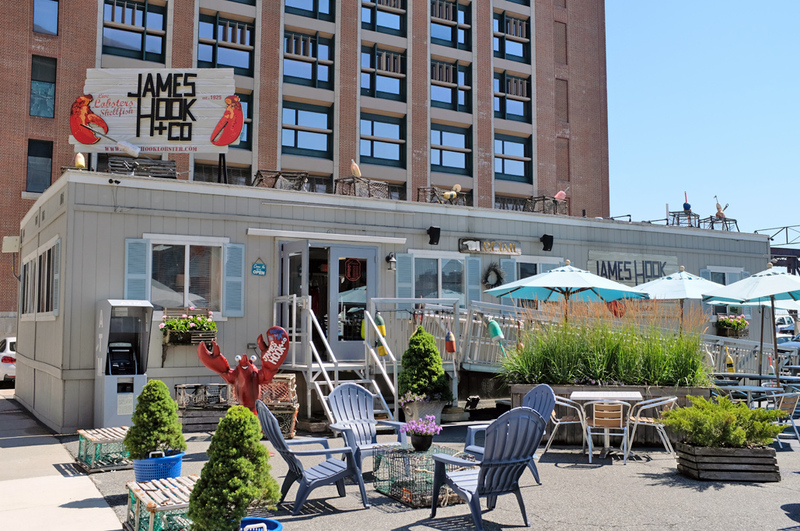 And The Winner Is…James Hook & Co.
After careful consideration and much walking around, we decided on the James Hook & Company for the lobster roll. And. It. Was. AMAZING. 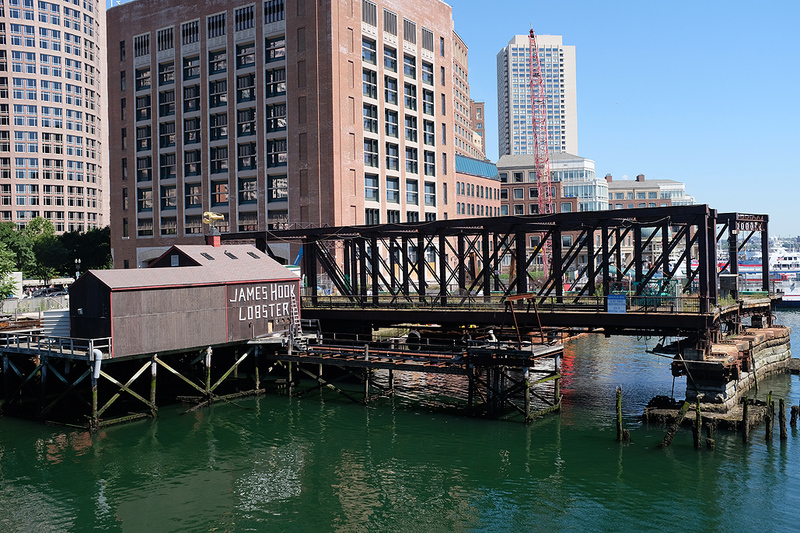 Can one really do better than a place where all they do is sell lobsters? No, one cannot. This used to be one of the biggest wooden structures on the Waterfront. And that bridge used to work also. James Hook has been in business since 1925. In August of 2008, the $12 million family-owned popular purveyor of lobster’s fortune went up in smoke in a huge blaze. The main facility was completely destroyed and over 60,000 lbs of lobsters were lost. The family managed to rebuild, and the business is still going strong today. 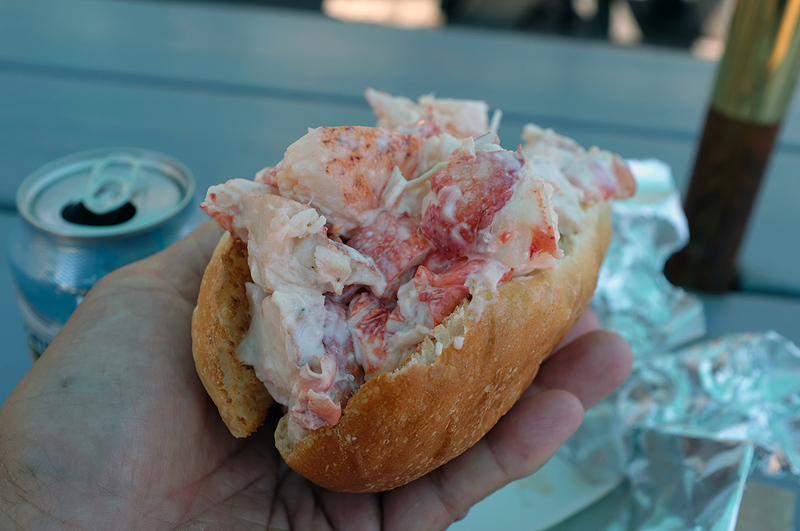 Their main business is selling live lobsters to local businesses, But they also have a small shack on the waterfront, from which they sell their “product” to the public, and more importantly, serve lunch. Not a Grey Poupon jar in sight, thank gawd. 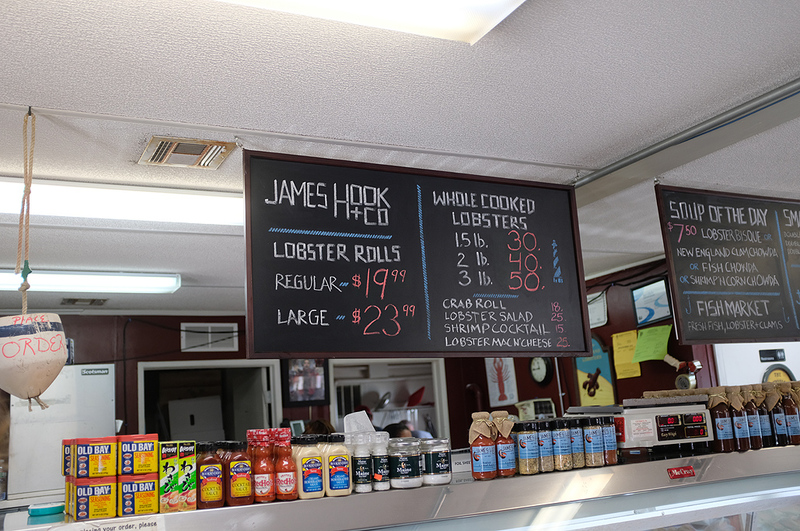 James Hook served two “sizes” of lobster rolls: Regular and Large. Why would anyone NOT get the Large??? THIS is why we live in Boston. And the “Make Way for Ducklings” sculpture. What we got were amazingly fresh lobster rolls with large chunks of tails and claws. It was the meatiest and freshest lobster rolls we have ever had. We will definitely be back again before the end of the Summer for another one!!! Based on information from one of our local architect friends, the site James Hook & Co is currently on the will-soon-become-a-high-rise list. 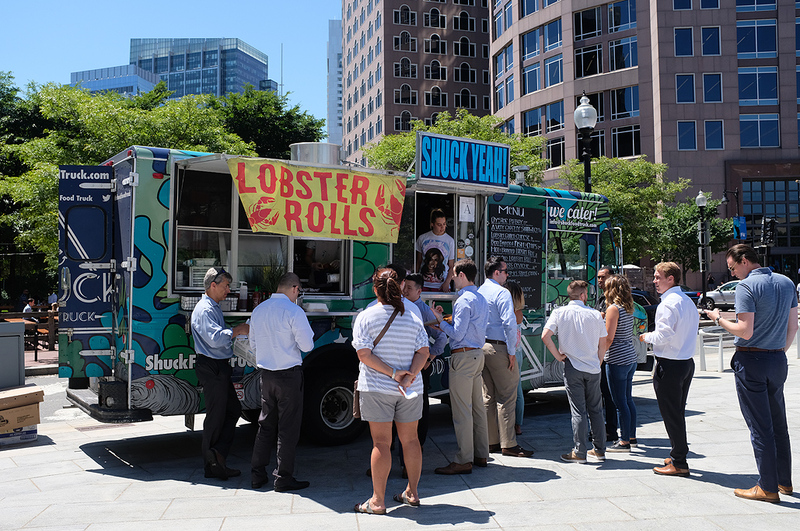 So, those who want to experience an awesome lobster roll on the Waterfront had better plan accordingly. Just as good as the FirstTaste!